"The purification or concentration of a substance, the obtaining of the essence or volatile properties contained in it, or the separation of one substance from another, by such a process". 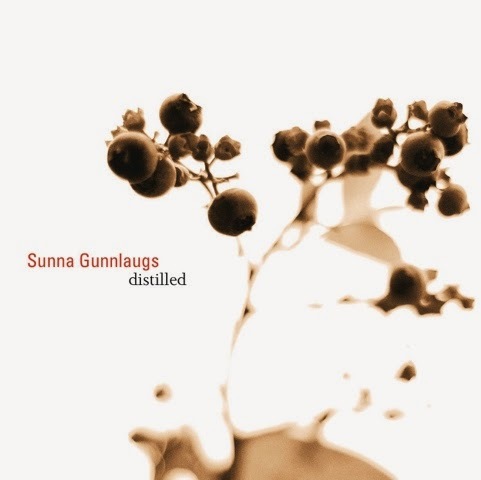 Distillation... "Distilled" is the name given to the last album (2013) of Sunna Gunnlaugs Trio. Since this dictionary definition is given in the liner notes and the short explanation for the title track is referred only to this definition, we can say that this album is a result of a process which may include experiences, memories, researches, happiness and/or sadness. The obvious maturity both in compositions and virtuosity throughout the album and the dignity of the sound tell me that the resultant product of this distillation is a perfect artistic piece. It can be easily seen by any concerned listener that each perfect-enough single origin participant created a very valuable blend for the album. 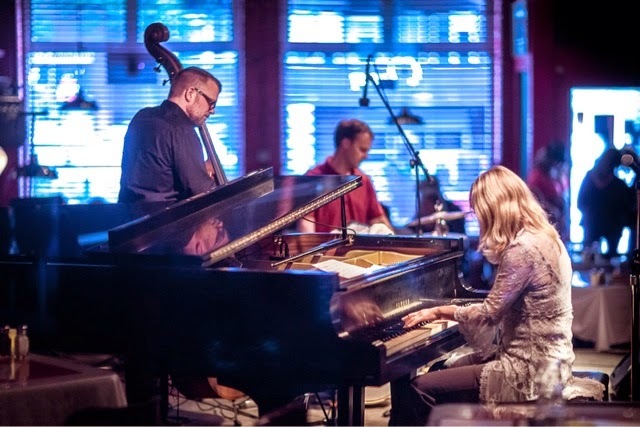 The trio has been playing together for a long time and Distilled is their second album excluding Icelandic pianist Sunna Gunnlaugs' many previous ones in which trio's drummer Scott McLemore plays too. We see Þorgrímur Jónsson first in "Long Pair Bond" from 2011. Distilled is surely a Nordic Jazz album first. Please don't ask me what this genre is. All I can say, besides jazz, there are classical music, nuances in sound, northern style melancholy, wind and cold in it. However in Distilled (and also a little bit in Long Pair Bond) there is certainly some traditional jazz from the place where it was born. This is most probably related with Sunna Gunnlaugs' jazz education in USA and the drummer Scott McLemore. Although moved to Iceland later on, he is from US and actually has been playing with Sunna Gunnlaugs for a long time - even before their debut in 1997 with "Far Far Away". Sunna Gunnlaugs gives many musicians from Northern European countries as influences. However there is a very important -and legendary- American one too there, at very early years of her musical education: Bill Evans with the amazing record "You're Gonna Hear From Me". Maybe this has a contribution too to the subliminal American style on the album. Even the first 10 seconds of the Momento -the energetic entrance to the album composed by Sunna Gunnlaugs- shows us that the drum set is given to a very qualified drummer. With his sharp and short duration touches on the instrument he let a very clear stage for the rest of the band. The title track has a beautiful power of covering the listener's body with its dignity. I do not have any idea about what is distilled in this piece and what was it like before the process but the piano (of the composer) feels like trying to explain some kind of settlement in a soul who found what she/he is looking for. The general quality of the record is so obvious in this piece that I could organically feel the harmony between instruments even in my living room. The reverberation amount is absolutely right. The slow increase in the tension of the performance as time passes and its sudden decrease through the end create a very deep groove. Switcheroo is certainly something from America and not surprisingly it is composed by Scott McLemore. If I wasn't surrounded by a this much clearly defined and classical influenced piano I could easily feel myself in a jazz club in NYC. Smiling Face is bassist Þorgrímur Jónsson's dedication to his daughter. Naive and soft, the piece is consistent with the aura of the album. The tenderness in the piano carries some subliminal melancholy. Jónsson's melodic accompaniment and nice solo-like part are impressive highlights. Gallop is an energetic piece from Þorgrímur Jónsson and this energy is related to children according to liner notes. It starts with a pushy drum line which is followed by the piano from high registers. 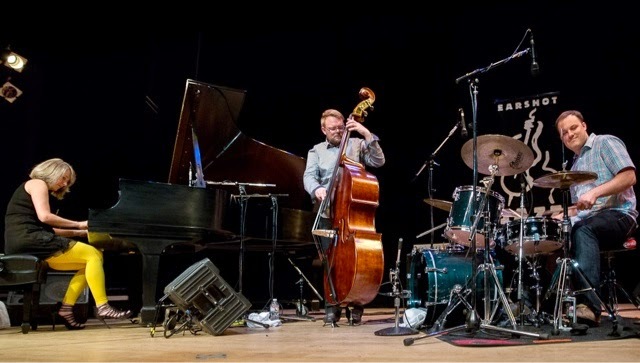 Spin 6 seems to be the band's collaborative free improvisation similar to Spin 7 in the end - the continuation of spins from one of previous albums "The Dream". Started like a three sided challenge and finished just in one and a half minute, Spin 6 proves that the trio is a real trio instead of some musicians gathered to make music together. Spin 7 sounds much more experimental especially with its bass performance. The New Now is kind of a reproduction for Sunna's own piece from one of her previous albums back in Brooklyn days. The piece was for vocal initially but in this album we listen to very well rearranged trio version. The drummer Scott McLemore is certainly MVP of the piece and he let it fly with his energetic attacks. 24H Trip is about long travels of the band. The bass introduction feels like trying to explain a midnight wake up for airport transfer or a sleep in flight spoiled by some announcement from the pilot. We -just as a listener- can feel that being away from home and family for a long time is not an easy task, especially after hearing the depressive and impressive partitions from Scott McLemore. Based on an Icelandic melody and composed by Scott McLemore, Things You Should Know sounds very lyrical and hopeful. Sunna Gunnlaugs carries the main theme very fluently and successfully. The transition between the main part and the bass solo is impressive. From Time to Time is a composition of famous jazz drummer Paul Motian, who has passed away in 2007. The trio played this piece in his memorial concert and decided to play it also for the album. 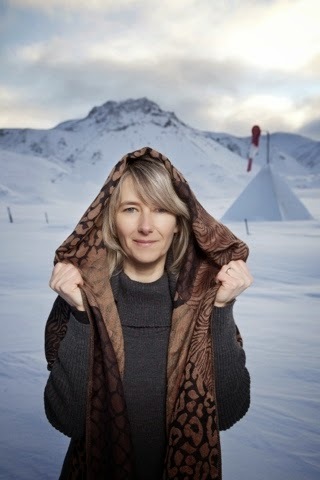 Carried from previous works of Sunna Gunnlaugs again, Opposite Side is another melancholic and catchy piece closing the album just before a short and improvisational part. Such a very interesting post and i like it very much. I appreciate your post and very well written. Nice blog.Thank you so much for share.